After what I, and several local members of our community found social media remarks by former Mayor Stewart insulting, I called a press conference to denounce his words and demand a public apology. 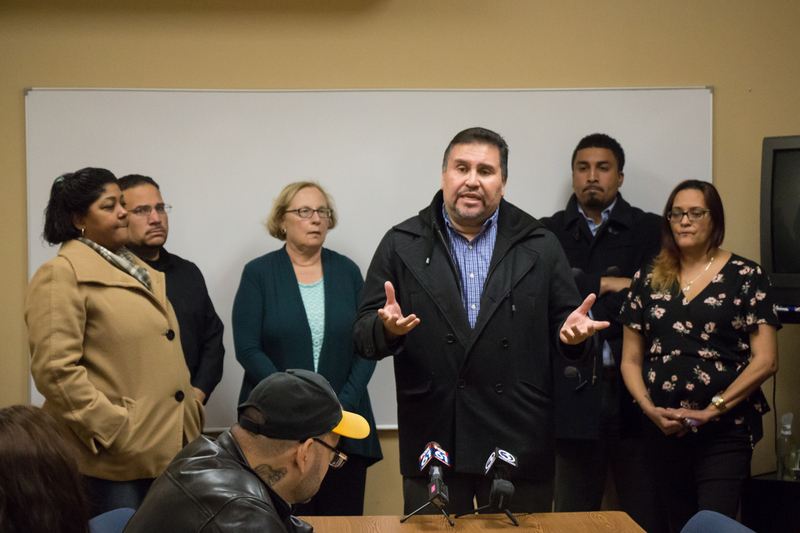 I was joined by my colleague Senator Terry Gerratana, local elected officials, residents and community activists at a the press conference and we talked about the issues facing the neighborhood we represent. Mr. Stewart’s comments on a Facebook page post referred to the Oak Street area and how “inmates continue to run the neighborhood,” after a local activist wrote a post claiming the area has been neglected. As a legislator representing this community, I must stand and defend my constituents from this type of verbally degrading abuse that has, as of late, been rampant against certain low income and poor communities. We cannot stay silent when our constituents are insulted and allow the perpetuation of lies and misconceptions about our vulnerable neighborhoods. Here are some news stories with coverage and more information: The New Britain Independent; Fox 61; the Hartford Courant; the New Britain Herald.